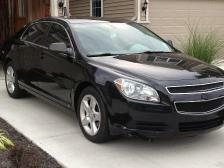 Purchased a 2010 Chevy Malibu from Limited a few months ago. Wonderful and helpful staff. Easy to communicate with and prompt responses for any questions I had. Not to mention the excellent prices and quality vehicles. I have already recommended Limited Motors to some of my friends looking for cars and will continue to do so. Jordan was awesome. He was very knowledgeable about the 4-wheelers I was looking at. He was able to get me the 4-wheeler I wanted and at a price I could afford. You should definitely come see him if you are looking for an ATV. I'm thankful for all the great service that I have received. I can see now it's only the beginning of a great future ahead. Kyle has been the best and made us feel at home. Along with Keith. I'm so excited with what we were able to buy. It's exactly what I wanted. Nothing I could ask for but what I now have. Thanks sooo much. I was in need of a car because mine had caught on fire last night while beginning a new job. We came here because we heard that you buy here & pay here. We like that idea. It fit right into our budget. Thanks Limited Motors!! Also: 1998 Jeep Wrangler. Thank you Limited Motors! Excellent Service -- Very Happy -- I have bought a few cars here, and will recommend to everyone to buy here, will always come back. Good customer service. The experience I had at Limited Motors was great!  The staff was very nice and helpful on the best car that works for me and my budget. I'm glad I didn't go anywhere else. Came in to look at your cars. 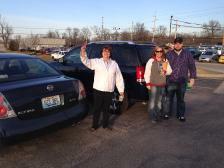 Kyle Clifton was very helpful and helped me with a perfect car for my needs. Keith took over my paperwork and asked when I wanted this taken care of. I told him I needed it today and had to get to work. He got on it right away and got me into the car and off to work right away. These guys were awesome. I'm already recommending Limited Motors to everyone I know. Great job and thank you so much. Great staff! Great cars! Buy one! Great service, very wonderful people to deal with. Will buy from again. I couldn't be more pleased with the overall customer service with Limited Motors. From the time I stepped onto the lot I was treated and VALUED as a customer. With no pressure to buy, I had every question answered. They walked me through the application and finance and now I have a car I am proud of. Thank you Kyle Clifton for doing a great job! I will easily refer anyone to Limited Motors. My experience has been AWESOME! Very good customer service!!! My first time coming to Limited Motors was a great experience. They really worked with me in finding the right car that is suitable for me. I could not be happier. They treated me like they have known me for years and still do. Every time I go in there they remember me and it always makes me smile. Thanks Limited. Kyle hooked me up. Great guy, great quads. Stop up and check them out. It was simple, fast, and easy. No problems. I will be back! Had a great sales person (Kyle). I would highly recommend coming to Limited Motors and see Kyle about one of their many affordable cars. I have bought a few vehicles from them and have never had a problem at all. Kyle is a great salesman. Very personable and a pleasure to work with. Helped with any and all questions I had. Very happy and satisfied with the service I received from all the staff there at Limited Motors. This was my 2nd time buying at Limited Motors. I recommend it to everyone that's looking for a good deal and a great car. Sales people are very helpful and will not pressure you to buy. 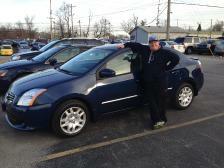 First I'd like to say that I bought a 2007 Chevy Cobalt from Limited Motors. They are the kindest people you would ever want to meet. They will work with you no matter what your job title is. If you're not happy with your car, they will work with you to make sure that you are happy. Payments are reasonable. They will go out of their way to make sure you have a great experience. They are like family! 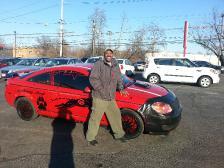 Dirty Red started as a plain 2007 Cobalt, now it has it's own Facebook and looks completely different! Check it out at www.facebook.com/williamsgregoryj. Thank you Limited Motors! Look out for Tweety Bird Cobalt coming soon (my next car from Limited)! I was waited on promptly, respectfully, no push, Kyle was great! I would recommend Limited Motors to anyone! 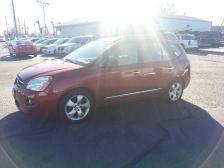 We got a great vehicle at a great price. 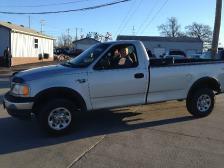 Kyle was my salesman, he was knowledgeable on the vehicles I looked at. Got me in the van that best fit my needs. Great buying experience. Everyone was friendly and worked hard to meet my needs. I couldn't have asked for a better experience in buying my first car! First Class Auto Dealership. The staff is friendly and treats you with respect. They are overwhelmingly helpful. They take the time to explain everything to you and walk you through the car buying process. They are a no pressure dealership. Keith brought my plates to my work. I work 52 hours a week and I was having a hard time finding time to pick them up. He is probably one of the nicest people I have ever dealt with in a business relationship. The girls in the office are so friendly when I make my payments. I have purchased two cars from Limited. 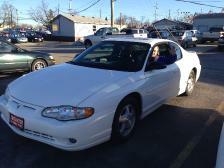 The staff was very helpful and I was able to choose a nice car. The selection was great and I was taken care of very quickly. I would recommend Limited Motors to anyone. They had low down payments that were great for me. Thank you! It's a great place to buy a car. You don't have to have a lot of money down to buy a nice car. I have bought at least 20 cars over the past 30 years. 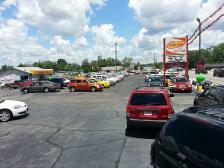 I would recommend this place to anyone needing to buy a car! The sales staff (Kyle) was awesome. Told him what I was looking for, got what I wanted, and was able to drive away in something I liked and that was affordable. Thanks to all the staff for their friendly services. 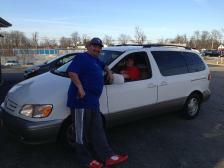 At Limited Motors we are proud of the quality used cars we sell and our dedication to serve the needs of our customers. This is reflected in the amount of repeat business we receive. Whether this is your first purchase with us or one of many that you’ve had, you can count on our dedicated sales staff to make it the best buying experience possible.